A 2008 IBM business survey reported that 50 per cent of executives believed that business model innovation will become more important for business success than product/service innovation. I am often surprised with how frequently people in business lack clarity of thought when asked to concisely explain their company's business model. Fundamental as the concept is to the understanding of how a company creates, delivers and captures value, the reality in the business world is that all too often business people don't understand it. It is just like when business people use (or misuse) important terms like "strategy" (often confused with tactics) or "marketing" (often confused with advertising or promotion) and all this serves to exacerbate the mystification of key business terms. Management guru Peter Drucker, in my opinion, came close to reaching the essence of the idea when he described it as follows: "A business model is nothing else than a representation of how an organisation makes (or intends to make) money". In practice, this basic definition is perhaps skimpy but Mr Drucker's working definition does a lot to simplify this important business term to its core. I would, however, add three clarifying questions which bring out the true meaning and purpose of this important business concept: (1) Why would a potential customer want to buy your product/service (the value proposition)? (2) How will you make money selling it (the profit formula)? 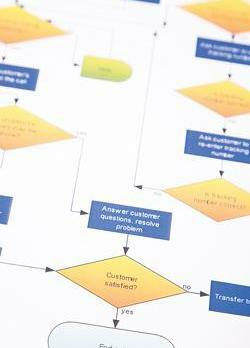 (3) What key resources and processes do you need to have in place (the company's capability)? I think the answers to these guiding questions will help employees, managers, CEOs or directors alike, understand what their company's business model is all about and as a result informed decisions can be taken for the betterment of the business. To illustrate the importance of this subject I am going to pick on arguably one of the most "successful" and well-known companies: News Corp Holdings, the owner of well-known newspapers such as Wall Street Journal, New York Post, The Times (of London) and Sun Newspaper (UK)). I am doing so because I was surprised to read last month that Rupert Murdoch, the CEO of News Corp holding company, is still keen on executing his bullish idea to change his business model from one driven by advertising income to paid content. The idea was first considered last summer when News Corp made a €3.4 billon (£2bn) net loss for the financial year to June 2009. He is quoted to have said at the time: "Quality journalism is not cheap, and an industry that gives away its content is simply cannibalising its ability to produce good reporting". Is it possible that Mr Murdoch doesn't understand his company's business model? To my mind, if Mr Murdoch goes ahead with this, it would be tantamount to, for example, radio stations starting to charge their listeners. In fact, radio is an excellent example, since its current business model is to generate revenue mainly from advertising. So imagine if a radio station changed its business model and started to charge its listeners a monthly fee. What would you, the customer, do? I think most people would just switch to the next "free" radio station. Why? Because the new charge does not justify the received value, because similar alternatives with a similar value proposition exist free of charge and obviously because consumers have got used to the idea of switching on their radio and listening for "free". By my reckoning, the same applies to internet-based newspapers. In fact, Mr Murdoch would be better off answering the aforementioned three questions before executing his ill-thought out idea, especially when websites such as CNN.com and BBC.co.uk (to mention just a few) continue to provide news content for free. I make this argument on the basis of having researched the subject briefly. Did you know, for instance, that when the New York Times abandoned its subscription model not so long ago, visits to its website jumped from about 12 million per day to 20 million! Moreover, according to an article which appeared in the Financial Times earlier this month, Nielsen conducted a global survey of 27,000 people from 52 countries and they found that some 58 per cent of those polled would not pay for newspaper websites if a charge was levied. Asked about online charging in general and the figure goes up, with 79 per cent unwilling to part with cash for online information which they believe they can find elsewhere for free. To date, only specialised sources of content (such as business-to-business publications) have successfully adopted online subscriptions or micropayments for individual articles (the Financial Times springs to my mind). I would argue that the pay-online business model will only work for specific, high value and highly-differentiated content, but I cannot see it working for general news content when (to-date) the same content (or something very similar) is "given away" for free. I do, however, think this sudden change of heart is recession specific since until recently online advertising was growing at double-digit rates but it serves the purposes of highlighting how failing to understand the fundamentals of your business model can hurt your business. Which brings me back to the point I made at the start of this article: people very often do not understand their business model! To be able to take strategic or tactical business decisions everyone from the lowest ranking employee right up to the chairman need to understand what their company's business model is and how it works. Only by doing so can one start to think of how to tweak or change the business model. A 2008 IBM business survey reported that 50 per cent of executives believed that business model innovation will become more important for business success than product/service innovation. That is quite a statement of intent! My advice therefore is that you make sure you first understand what the term means and then to apply that learning to your own company. Mr Fenech is managing director of Fenci Consulting Ltd.